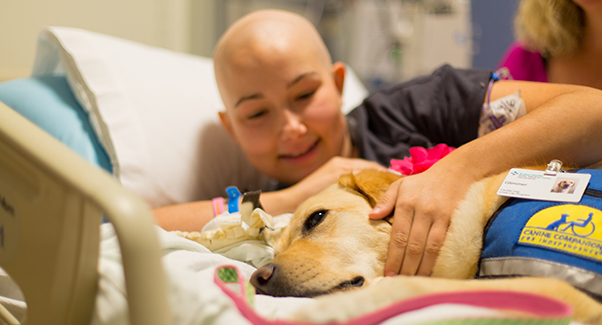 Canine Companions® partner Sutter Health in Northern California recently launched a social media campaign highlighting their Canine Companions facility dogs. Nine facility dogs work in a multitude of settings throughout the Sutter Health network, including hospitals and physical therapy units. These assistance dogs help motivate and comfort patients while encouraging healing and recovery. Facility dogs make an incredible impact on the patients they interact with, and we’re thrilled to celebrate the important work they do. Visit cci.org/sutter to view the videos from the Sutter Health campaign. Are you ready for National Puppy Day? We are! Follow us on Facebook and Twitter as we'll be sharing 24 hours of puppy photos on Friday, March 23. Don't miss out! We can almost smell the puppy breath! Get your favorite business or employer to become an official Community Supporter. If they sign up at cci.org/community, they’ll receive a step-by-step fundraising guide and turnkey marketing and public relations materials. Why Do You Raise Puppies? Canine Companions volunteer puppy raisers and breeder caretakers: We want your stories! Share photos of your Canine Companions puppies and tell us your story for a chance to be featured on our social media channels. Free eye exams for service animals. Registration begins April 1. When disaster strikes. Read Dr. Kennedy's reflections on 2017. 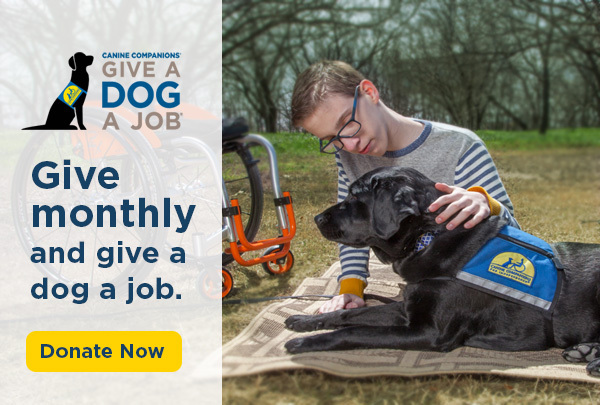 Start your dream career — learn to train assistance dogs. Where do dogs tweet? On our Twitter account! Volunteers needed for DogFest! Find an event near you.